Water resistant and breathable polyester and polyurethane microfiber fabric. With a high shine finish. Can be polished with regular polish and shoe care products. Tough and versatile Breathable and Water-resistant Micro-fibre. Soft to touch polyester substrate with polyurethane ‘skin’. Matt/satin finish, with a light grain. Can be polished or left plain. 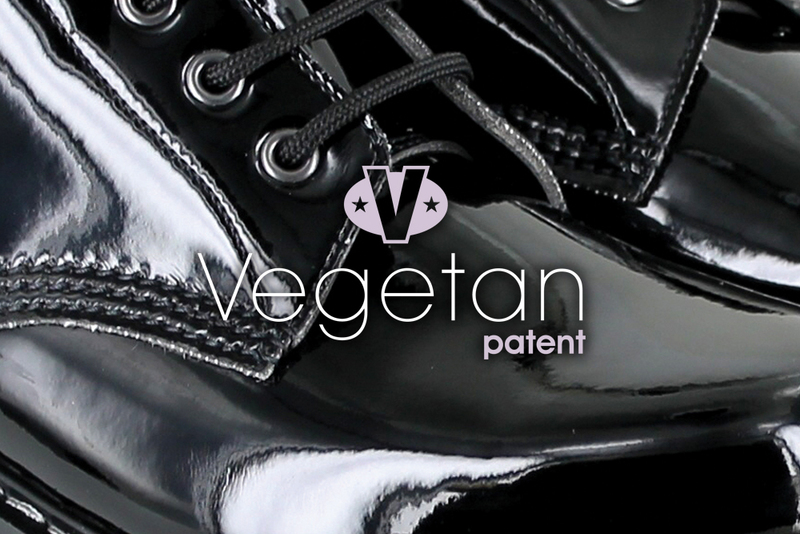 Can be proofed with dubbin, polish and regular shoe-care products. We usually use a 2mm thickness but sometimes use the 3mm version for our foot-bed sandals. A super, relatively new, plant based material made from pineapple fibre by-products. Lightweight, breathable, with some water-resistance, very eco-friendly and biodegradable and wears better than you might think. In fact it’s pretty tough! 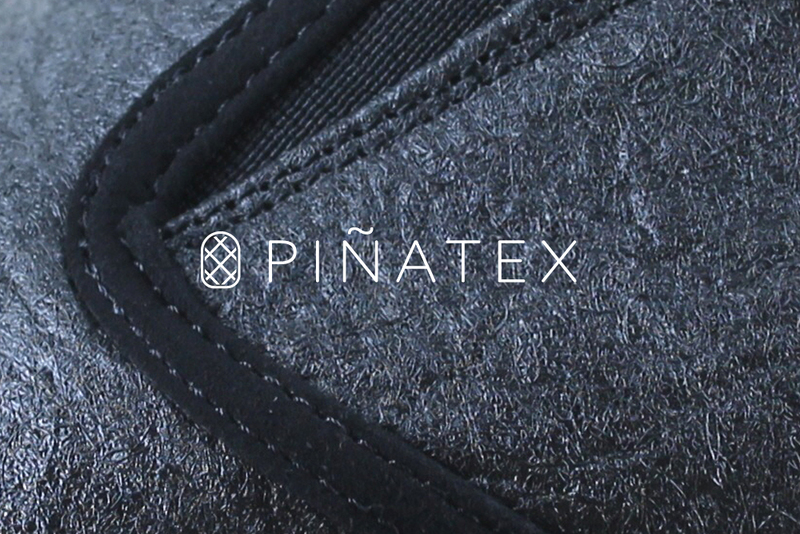 Pinatex has an unwoven finish and creases and ages very nicely. This material is water resistant but not breathable. It can be hand washed or wiped with a damp cloth to clean. The ultimate plant based woven material?! There is so much info already out there about hemp. It’s a strong natural fibre and biodegradable. 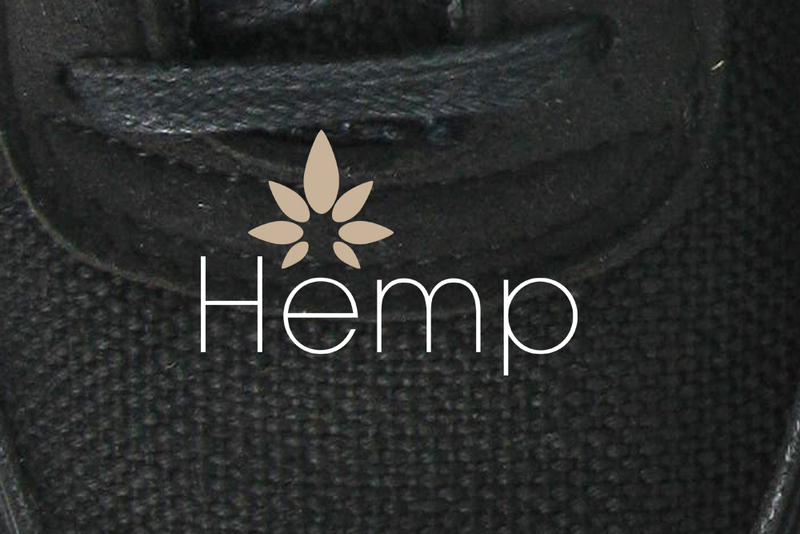 Our hemp canvas is organic and usually dyed black. Its breathable but not water-resistant. We use a few synthetics which are quite traditional in that they are water-resistant and tough but not breathable like modern micro-fibres. Can be wiped clean with a damp cloth. Water-resistance can be improved with spray-on proofers. (this will darken some fabrics). Biodegradable, plant-based and eco friendly. Breathable but not water-resistant. 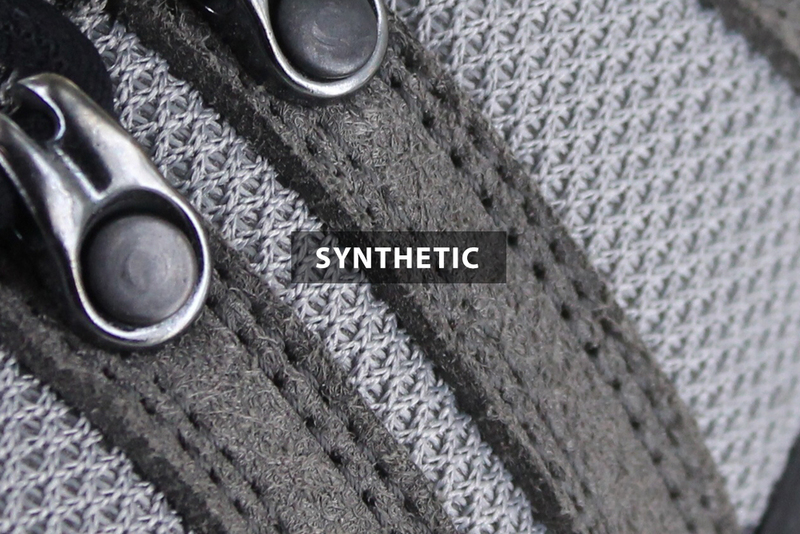 A lightweight breathable Polyurethane/Cotton material. 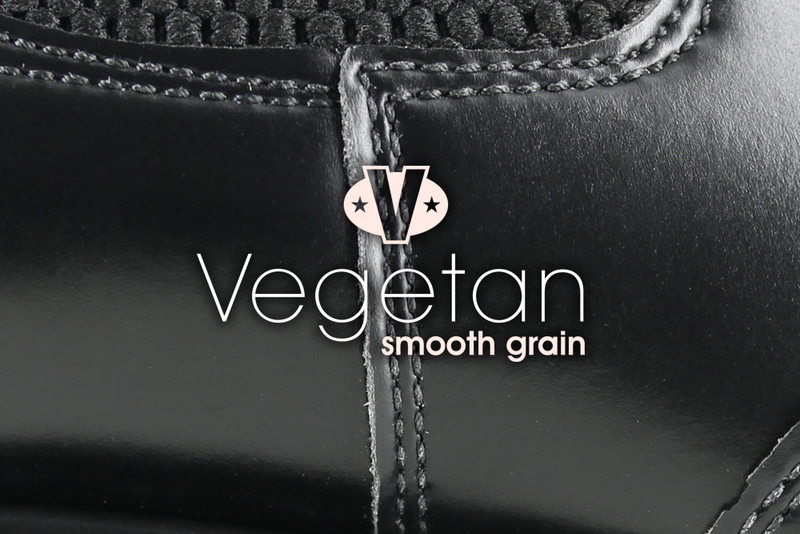 Soft and smooth to touch and with a light grain, this leather-looking material is ideal for sports footwear and women's dress shoes. 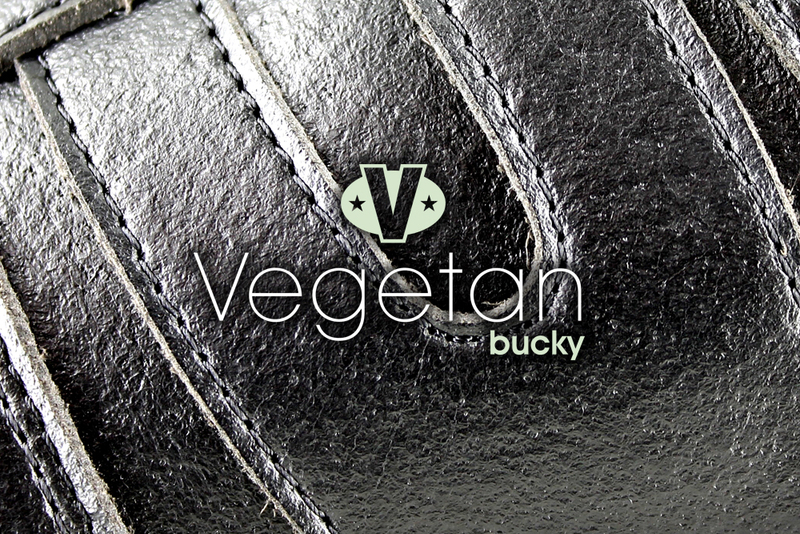 Like the Vegetan uppers this fabric has a built-in cotton backer which gives added strength and is more biodegradable. Clean with a damp cloth and proof with polish, dubbin or spray-on proofers. Made in Italy. 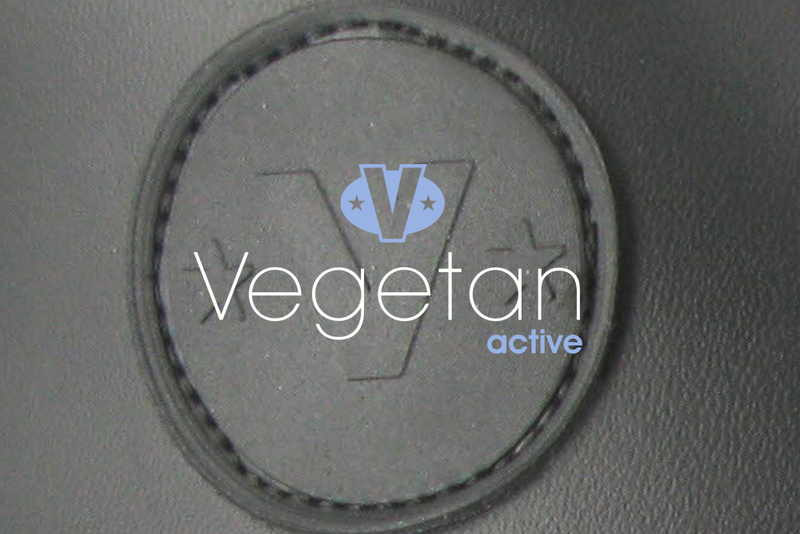 Hard wearing breathable microfibre, looks and feels amazingly like supple leather. Wipe with damp cloth to clean. Use spray-on water-proofer or our dubbin to increase water-resistance. 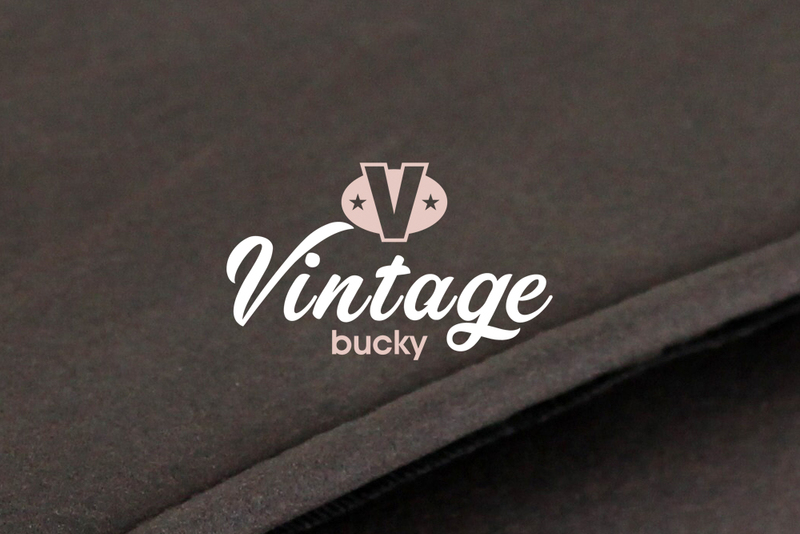 Coloured Bucky (other than black or brow)n should be cared for carefully - if top layer of material is scuffed it is hard to re-colour. Material darkens slightly with shoe care product use. 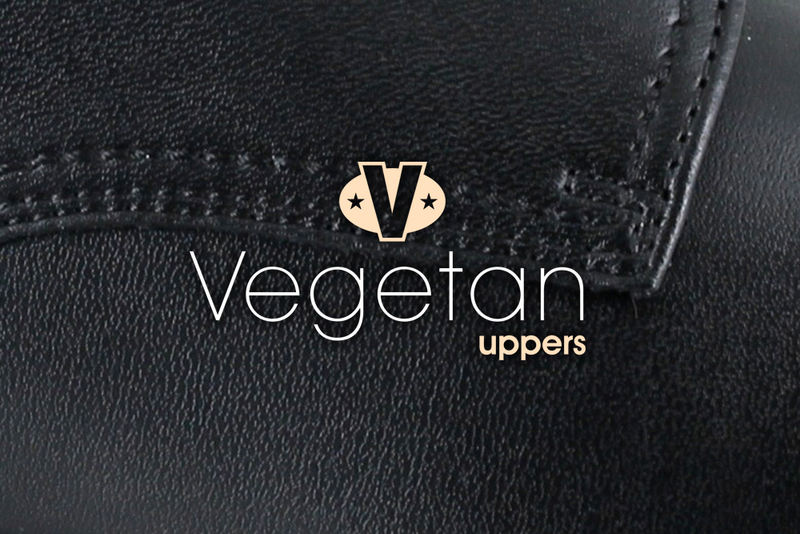 Made in the UK specially for Vegetarian Shoes. The original, toughest, hardest wearing & most water resistant breathable material we use (in a few variations). Takes little 'breaking-in’. 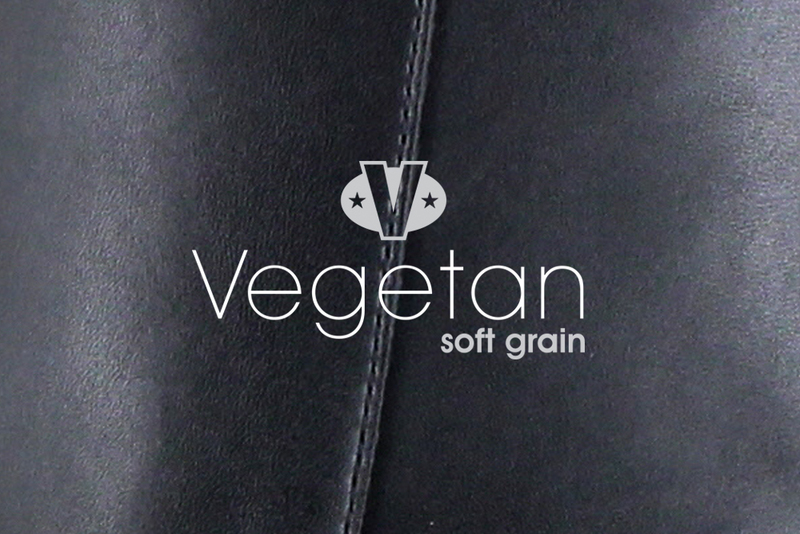 Like high quality leather in its exceptional performance, with a distinctive grain. Ages/wears beautifully. Recent versions are more eco-friendly as they use less solvents. Use polish/dubbin, avoid contact with harsh solvents (petrol etc). Made in Italy. Hard wearing, breathable, water-resistant, polyester and polyurethane upper material with classic smooth finish. Creases just like the leather equivalent. Often used on smart or dress footwear. Can be polished are shined with regular shoe polish and other usual shoe-care. Super soft to touch, breathable but like real suede not water resistant. 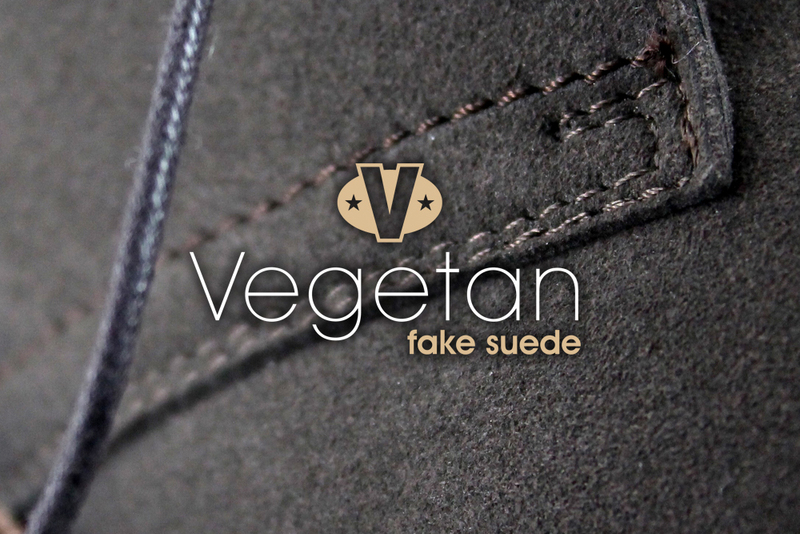 Our fake suede makes very comfortable footwear. As with real suede it is not easy to keep clean. 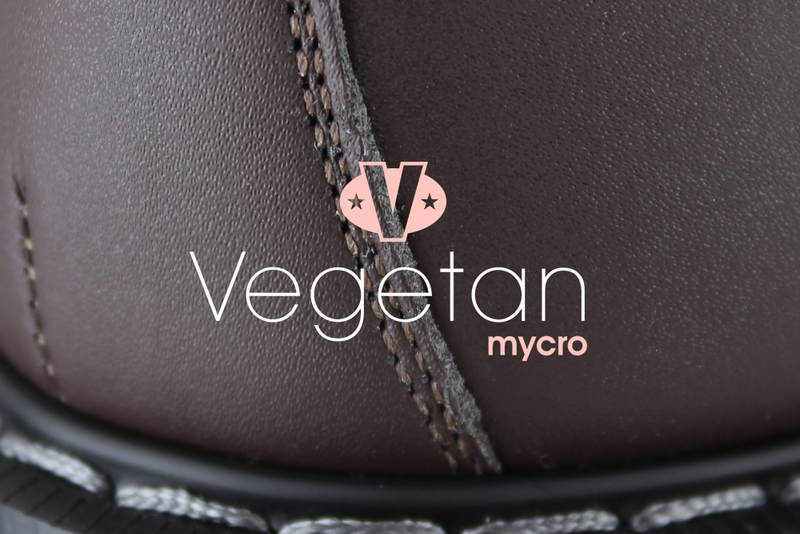 It can be proofed with a spray-on waterproofer and can be brushed as real suede/nubuck. Made in Spain. A breathable and slightly water-resistant polyester microfiber material. Soft feel and very supple, takes very little wearing in. Has a patina of age even when new, but also ages nicely. Dubbin and clear shoe care products can be used to make water-resistant but usually darken the appearance of the material. Made in Italy. One of our standard upper materials, good for every day footwear. Breathable and water resistant and approx. 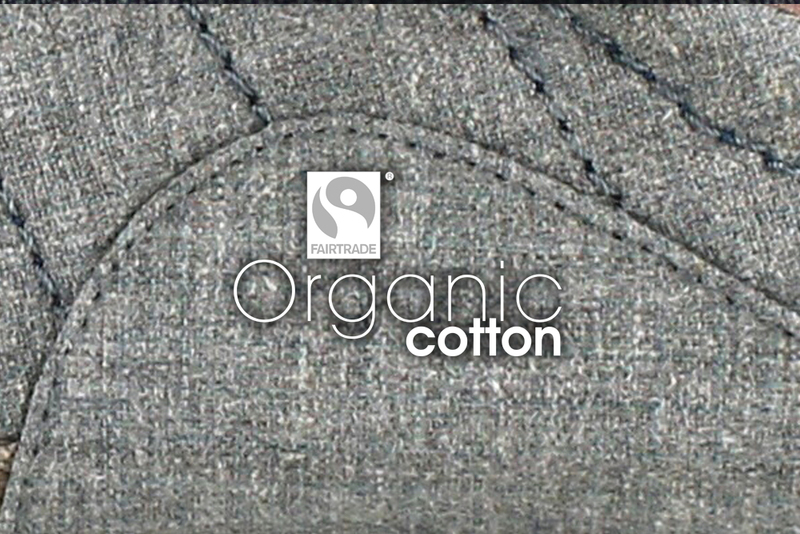 70-80% Biodegradable as it has a high cotton content. Clean with polish or dubbin and regular shoe-care products. Made in Italy. 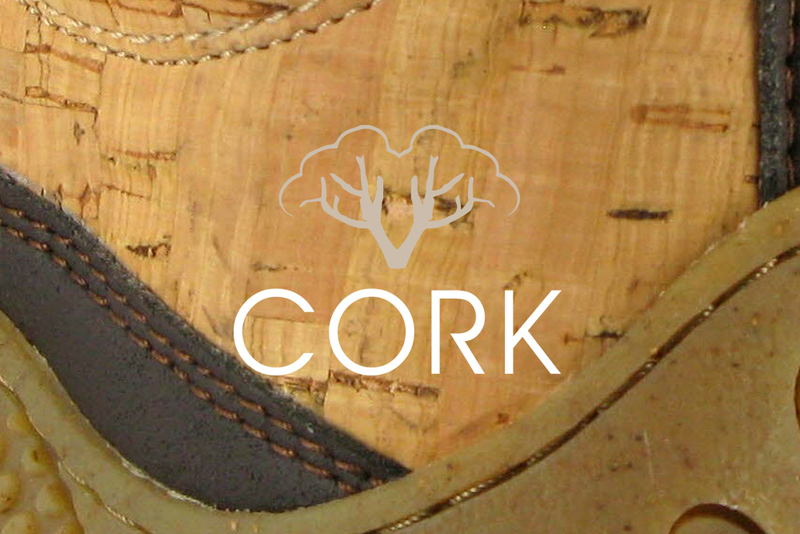 That lovely soft and lightweight wood they cork bottles with! Plant based, naturally. 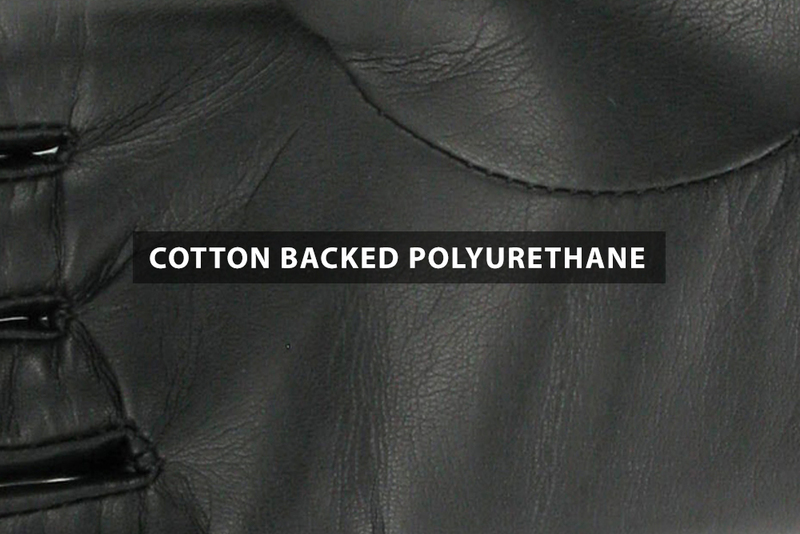 Tough, hard-wearing Polyester /polyurethane material. Breathable and water-resistant. Flexes and creases nicely. 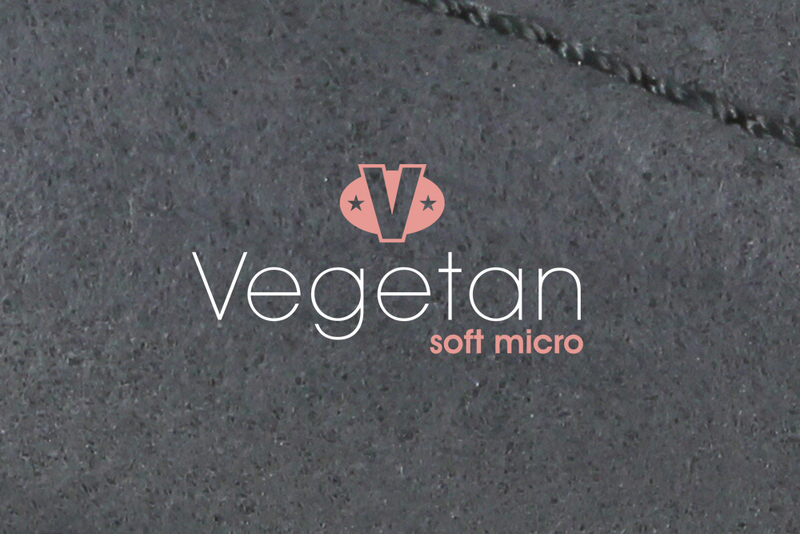 Similar to Vegetan Micro above but with a slightly coarser grain. Easy to clean and proof with polish and dubbin. 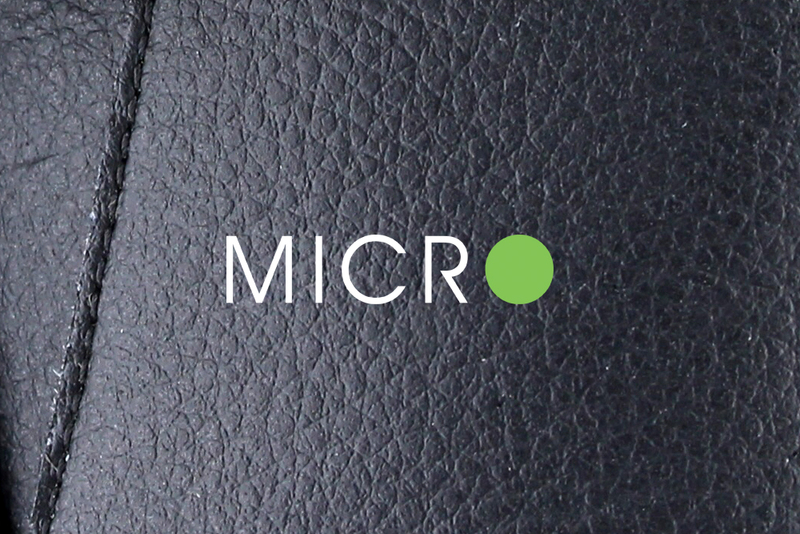 A super soft microfiber with lovely feel and texture. Lightweight and thinner than average but stronger than you might think! Breathable and slightly water-resistant. Regular shoe care can be used to clean but can slightly darken the material finish. Made in Spain. 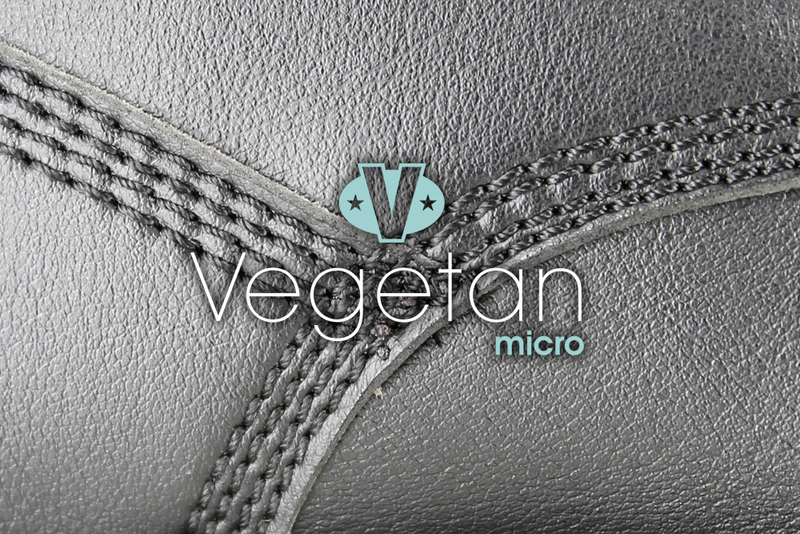 Another great high-tec polyester and polyurethane microfiber material. Hard wearing and breathable and water-resistant. With soft feel and long lasting properties. Slight grain finish gives a nice texture. Use polish and regular shoe care to clean. Made in Italy.